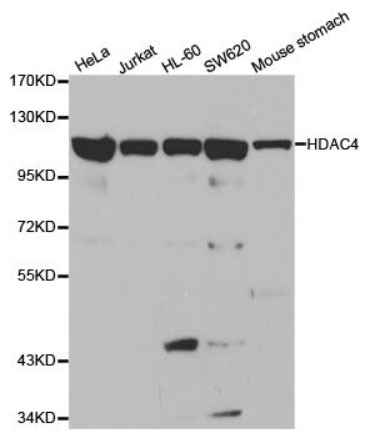 Western blot analysis of HDAC-9 expression by HDAC9 Polyclonal Antibody (A4009) with use of Ramos cell lysate. 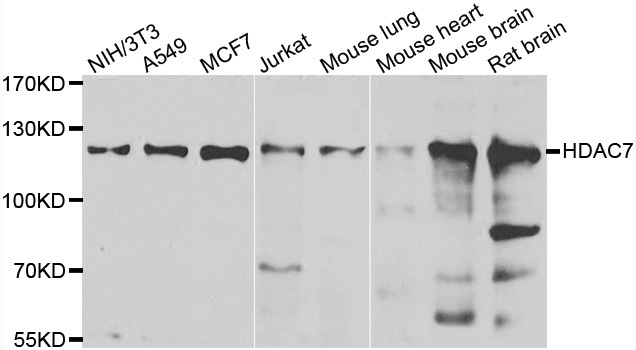 Affinity purified goat polyclonal antibody to HDAC9, ChIP-grade. 4ºC, stable for 1 year from the date of shipment. 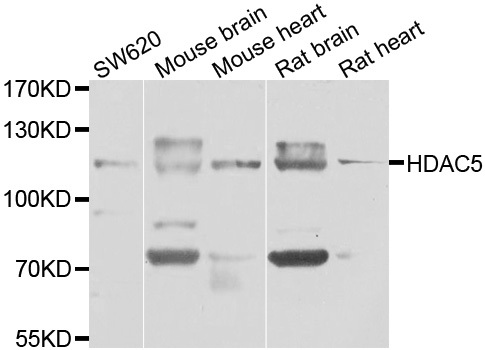 Avoid repeated freezing and thawing. Multiple freeze/thaw cycles may result in decreased performance.